Hong Kong is internationally renowned for its safe, affordable and reliable public transport system, which keeps the city moving at its trademark lightning speed. If lightning sounds daunting, you can switch gears by hopping on a tram or ferry and savouring the city at an old-world pace. 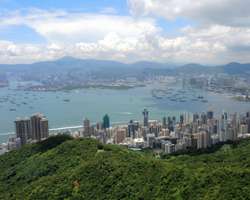 Hong Kong is a key aviation hub thanks to the 24-hour Hong Kong International Airport, which is served by more than 100 airlines that provide connections to most of the world’s major cities. This gateway to the city is consistently ranked among the best airports in the world and offers the ‘HKG My Flight’ app for download, allowing you to get flight and airport information at your fingertips. Getting to and from Hong Kong International Airport from within this global city is easy, convenient and relatively inexpensive. The MTR’s high-speed Airport Express is the fastest transport link to the airport and takes approximately 24 minutes to reach Hong Kong Island. Airport Express passengers can catch a free shuttle bus from Kowloon and Hong Kong stations to major hotels. Both these stations also provide free in-town check-in services for major airlines when you’re returning to the airport. Please contact your airline for further information. Special ticket rates for AMP Global 2019 delegates will be available shortly! Taxis are readily available from the taxi pick-up area in front of the airport’s Arrivals Hall. If you’re travelling to Hong Kong Island or Kowloon, you’ll need to catch a red taxi. If you’re headed for the New Territories, you’ll need a green taxi, whilst those going to Lantau Island will require a blue taxi. All taxis in Hong Kong are able to take passengers to and from the airport. Fares are metered and detailed information about charges are clearly displayed inside each cab. There are 12 convenient Airbus ‘A’ routes that can take you from the airport to key locations on Hong Kong Island, Kowloon and in the New Territories (including Lantau Island) with fewer stops than an ordinary city bus. When you exit the Arrivals Hall, turn right to find the Airbuses and city buses. Citizens of about 170 countries and territories are permitted to enter Hong Kong without a visit/entry permit for a period of 7 to 180 days. 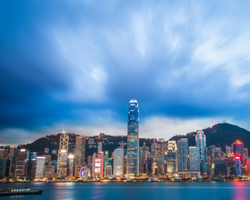 You will find the list of countries with the respective visa regulations for Hong Kong HERE. Please see Part II, point 12 for the list. If you need an entry permit, you can either send your application directly to the Immigration Department of the Government of the Hong Kong Administrative Region or consult with the respective embassy in your country first. In case you need a proof of participation at the AMP Global 2019 congress in Hong Kong, please click on the respective field in the registration portal. The letter will be sent to you automatically. Please note the invitation letter from AMP Global 2019 is only a proof of your participation and cannot be used as a sponsored invitation for your visa application, as AMP Global 2019 will not cover any costs related to your application or stay in Hong Kong. The organizers of AMP Global 2019 will not be able to help you with your visa application due to data privacy regulations and are not liable for the result of your application. In case your visa application has been rejected but you have already registered for the AMP Global 2019 meeting, the organizer will refund your registration fee only upon receipt of the official rejection letter from the Immigration Department or the respective embassy. You must send this to us at the latest by April 30, 2019. AMP Global 2019 will take place at the AsiaWorld Expo in Hong Kong. It is located on Chek Lap Kok Island, next to the Hong Kong International Airport.